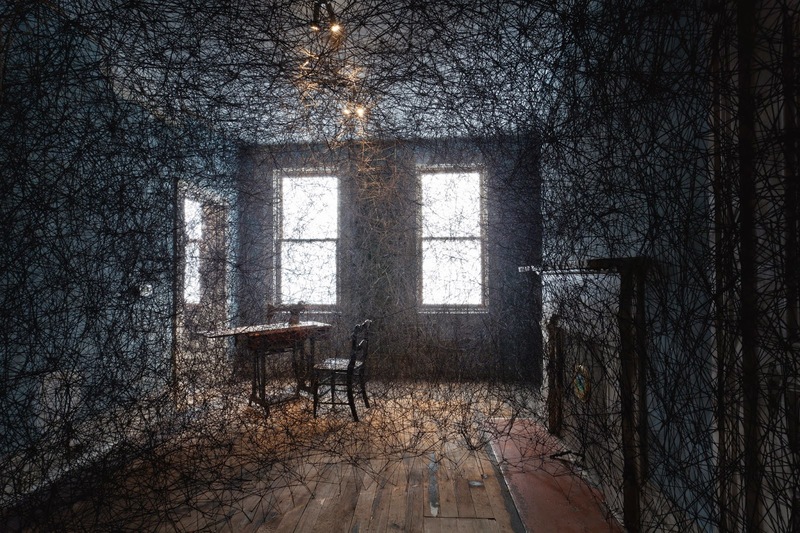 I remember being thoroughly enchanted the first time I encountered Japanese installation and performance artist, Chiharu Shiota’s work, Trace of Memory at The Mattress Factory, a contemporary art museum in Pittsburgh, Pennsylvania in the United States. Utilising both the spatial landscape of an abandoned 19th century row house as well as specific objects such as a wedding dress, hospital bed, and a pile of suitcases, Shiota enmeshed it all in intricate black wool-thread creations. Everything was visible and yet, not; it was not unlike cobwebs studding the dusty corners of an abandoned house, simultaneously representing decay and life. In a sense, Shiota’s work resurrects an otherwise dead house, creating a physically tangible web of narratives through the confluence of thread, space, and air. Perhaps, enchanted was also an appropriate word to describe my engagement with her work, for there was a fairy-tale, other-worldly quality to her work that I had never previously witnessed or experienced elsewhere. Researching further and talking with the artist herself, I discovered that the wool-thread is a signature motif of her work and through which she quite literally binds memories, past, people, and objects. Born in Osaka, Japan, Chiharu moved to Berlin, Germany in 1997, where she studied with Marina Abramovicand Rebecca Horn, forerunners of the performance art movement; she has exhibited all over the world, presenting her installation art in both solo and group exhibitions. What does installation art specifically mean to her? “I love empty spaces; the minute I come across one such as an abandoned building or an empty exhibition space, I feel as if my body and spirit transcend a certain dimension – and I can then start from scratch,” Chiharu says, presenting the abandoned or blank exhibition space as one void of references or associations and which she is subsequently free to re-interpret and realise her imagined worlds in. What particularly excites her about installation art is the immediacy of communication and engagement with the viewer. “[The viewers] can immediately feel as to what I am trying to show…unlike a painting or sculpture where you may have to engage with it for quite a while before distilling its meaning,” she opines. 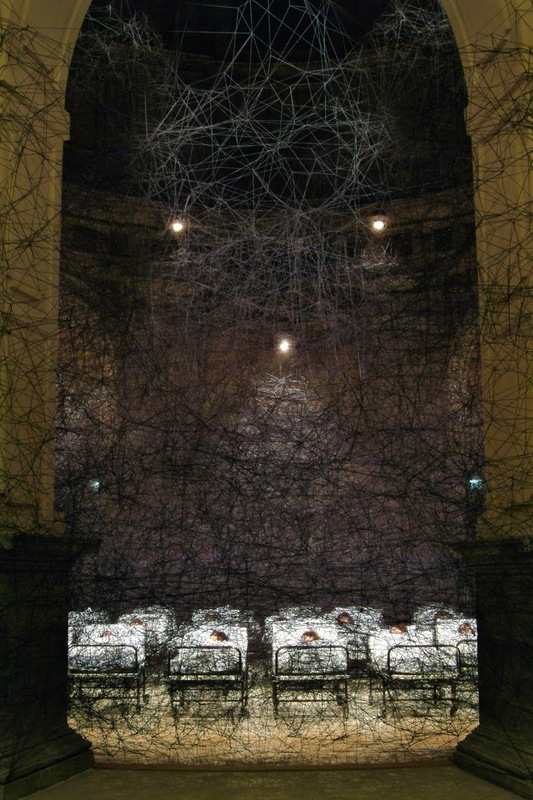 While her work is largely rooted in the soil of her personal memories and concerned with theme of remembering and oblivion, it also sprouts and entwines itself with larger collective memories as well; one glimpses it in installations such as Dialogue from DNA in Krakow, Poland and which was subsequently recreated in Germany and Japan. Currently living and working in Germany, Chiharu reminisces about how it is linked to the time she returned to Japan three years after moving to Germany. “I wore my old shoes and experienced a curious situation; they didn’t fit me any more even though they were the same size. This sense of dislocation persisted even when I was interacting with my parents and old friends. Nothing specifically had changed – and yet, I felt differently about them,” she says. The scenario made her start thinking about the gulf between the idealised memories when one is away from the home and yearning to return to it — and actually being in home itself. “I began to interrogate the idea of missing and memories and I fused it with the idea of old shoes and the memories associated with them,” she says, elaborating that the installation consisted of 400 disused shoes that people had donated along with notes containing specific memories associated with the shoe. Looking at the installation (below), it is almost as if the threads anchor the memories in form of the shoes in place, lest they vanish into nothingness and being unremembered. Chiharu has often remarked that working with thread is a bit like drawing in air. “When I began working as a painter, I felt that two-dimensional drawings were limiting me. I needed more space so I started working on installations and using thread in order to achieve a three dimensional drawing, so to speak. The threads since then have been a fundamental aspect of my work,” she says. These threads represent multiple meanings in her diverse output of work, whether of connections or ensnarement or opacity. While objects frequently figure as the central components of her installation works, her works are also distinctively body-oriented, as evidenced in works such as During Sleep, which features real-life women asleep on hospital beds and the space enshrouded in her customary fog of thread, bringing to forth gendered associations with the fairy-tale Sleeping Beauty. She has also chosen to introduce her body as a vehicle of narrative into her works, two of her performances depicting herself with either mud being poured onto herself or naked and smeared with mud. She has also sewn her own umbilical cord into a work; this ultimate symbol of mother-child connection manifesting itself as one of the multiple threads of connections constituting her work. “There is presence in the center of absence; however, when I sometimes sense that there is still a touch of incompleteness, I then choose to put a body,” she says. What she accomplishes through Trace of Memory is to render the house and its inhabitants’ memories visible. What we see as potential barriers in the form of the complex web-clouds of black web are in fact portals to the memories of the people which inhabited the house; we see the traces they leave behind of themselves through the objects that once belonged to them. The thread-work immerses the house in a sea of remembering, the submarine quality ensuring that nothing is quite like what it is above in the open air. It also hints toward how people and events are altered when glimpsed through the veil of memory. If one were to shear away through the threads, allowing the cold, harsh of contemporary reality to fall upon it, the house will simply be reduced to an abandoned shell of a structure. Seen through the Chiharu’s intervention of thread-work, the house assumes another function of that of a memory portal. Chiharu transforms absences into presence through her thread air drawings; she invites us to remember and simultaneously pay homage to the act of the remembering. If you would like to learn more about Chiharu’s work, you can visit her website. 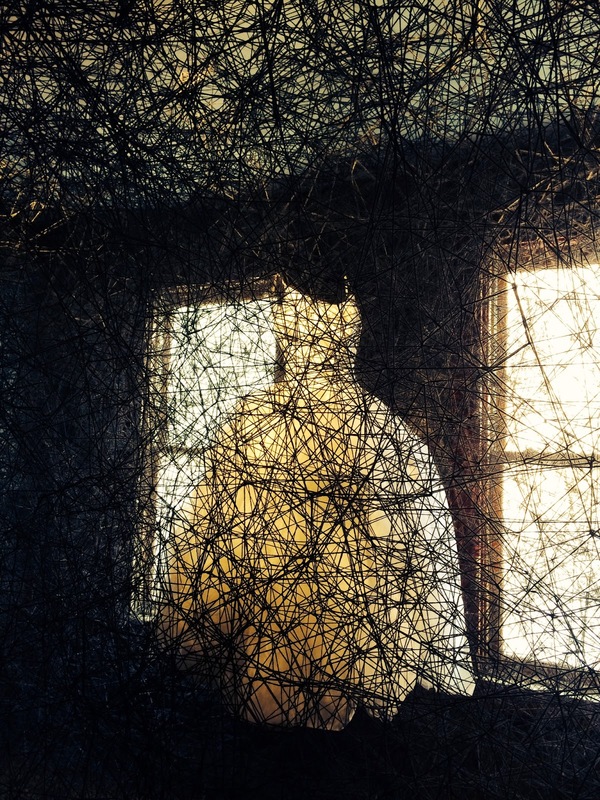 Picture credits: All pictures except the first one courtesy of Chiharu Shiota. National Geographic magazine famous green-eyed ‘Afghan girl’ in Pakistan papers probe. Looking back to the late 90’s, “Girl Power” created a great sensation in the UK pop music industry. These pop idols are grown up now and no longer proudly shout their catchphrase “Girl Power”. Their time in the 90’s has become a rather nostalgic topic to reminisce about. On the other hand, there is a long surviving tradition in Japan for girls to celebrate being girls. Nowadays, 3rd March is a day to celebrate a girl’s well-being and happiness by setting out a special dolls display with peach blossoms. This festival is called the Hina festival (雛祭りHina matsuri). Women, both young and old, enjoy everything related to the celebration of the Hina festival, from opening boxes, unpacking the dolls and placing them in position to offering them peach blossoms. They also prepare treats such as dainty sweets and special drinks, and hold parties while taking pleasure in viewing the dolls. Basically it is a relaxing “Girly” day. Hina (literally ʻprettyʼ or ʻlittleʼ) dolls are dressed like courtiers of the Heian period (794-1185). They are treated with great respect and are dearly loved throughout their graceful existence by all generations of women. In the display the top level is reserved for the master (男雛 Obina) and his mistress (女雛 Mebina). The next level below that is for their servants such as the Three Ladies-in-waiting (三人宮女 Sannin kannyo), the Five musicians (五人囃子Gonin bayashi), the Two ministers (随身 Zuijin), the Three guards (衛士 Eji), and beneath the mistress’s trousseau is also on display. The custom of displaying the Hina-dolls on different levels, looking as if they were placed on a kind of stand, became popular in the Edo period (1600-1867). This display format still lives on today. A number of educational books were published throughout the Edo period, which targeted girls for the purpose of teaching women’s morals, appropriate manners and accomplishments. It wasn’t however, until the later Edo period that publications dealt with the etiquette of the Hina festival on the 3rd day of the 3rd lunar month which we consider to be the foundation of the modern version of Hina matsuri. In the early Edo era, instead of celebrating with Hina-dolls, ceremonial poetry competitions were held on the date of Jōshi (上巳), which falls on the 3rd day of the 3rd lunar month. This traces its origins back to the Heian period when one of the absolutely essential skills for courtiers was the ability to compose elegant poetry spontaneously. There were many opportunities for poets to compete against each other. Perhaps the most challenging was the highly refined event held by the bank of a meandering river. The contestants sat along the river bank and had to complete their compositions before the cup, which was floating downstream, passed them by. This was called the river bank poetry competition (曲水の宴Kyokusui no en). Hina-dolls certainly existed in the Heian period, but not as display objects. In fact, they were children’s toys for playing with. In chapter 5 of ‘The Tale of Genji’ (源氏物語 Genji Monogatari), the hero, Prince Genji, discovers a young girl who reminds him of Lady Fujitsubo, whom he has been secretly admiring as his true love. He is eager to approach the girl, who does not have enough family members to support her upbringing, by offering his noble guardianship. However, her ill grandmother politely rejects his offer saying her granddaughter is just a child happily playing with her Hina-dolls, therefore not of suitable age to accept his overtures. There are no episodes describing the river bank poetry competition in the Tale of the Genji, but in chapter 12, Genji undergoes a purification ceremony on the 3rd day of the 3rd lunar month (上巳の祓え Jōshi no harae). The dolls had a key role during the ceremony since they absorbed the supplicants’ bad fortune. Then the supplicants threw the dolls into water in order to remove all of the negative energy from their lives. Both events were rooted in trusting in the natural power of flowing water, which was able to carry things away. The 3rd day of the 3rd lunar month was also the time of peach blossom. In fact, peaches were believed to have divine power to protect people from evil. Most famously in Japanese legend, the god Izanagi, who formed the landmass of Japan with his partner, defeated demons by throwing peaches on his way back to earth from hell. Peaches might be part of the reason why the purification ceremony was carried out on Jōshi. People could expect extra protection from peach blossom as good spirits. Peach blossom is still one of key elements in the modern day celebration of the Hina dolls Festival. In fact the day is also known as the Peach festival (桃の節句 Momo no sekku). It is not only pretty, but also quietly ensure a safe and successful happy “Girly” day. Indian influence in new exhibit at Aga Khan Museum. It is rare for an Iranian artist to be widely celebrated at home, withstanding the scrutiny of a nation in love with both art and the contemporary and yet highly critical of its living artists because it recognizes the contemporary as a category imposed from the outside. Born in 1937, Parviz Tanavoli has become a legendary figure through a prolific career as artist, scholar and teacher. 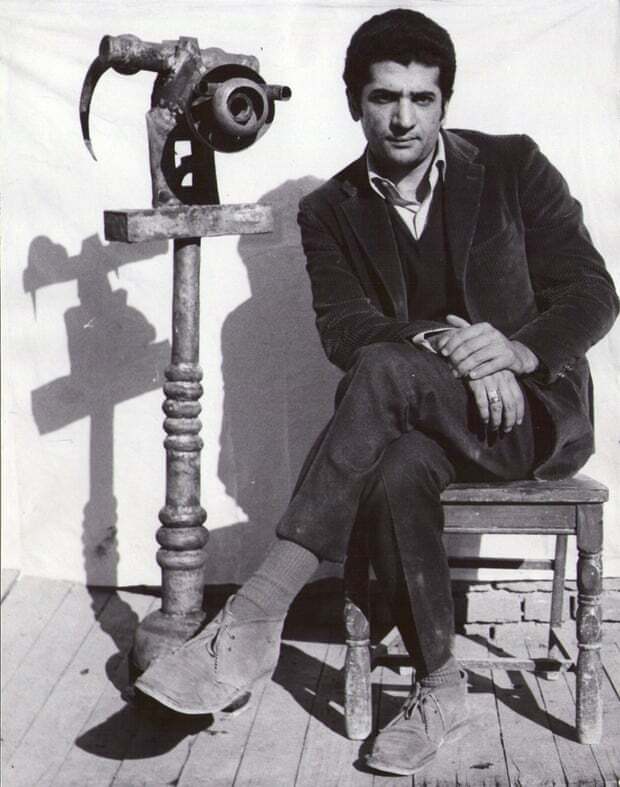 Iran’s first significant modern sculptor, he works in a style distinctly his own, undeniably modern, and entirely Iranian. In bringing together over 50 years of his art in his first US solo museum exhibition, the Davis Museum has the task of engaging with thousands of years of cultural heritage, which Tanavoli draws on with fervour and ease. He neither imitates nor ignores the Iranian visual lexicon, but rather makes it his own and expands upon it. 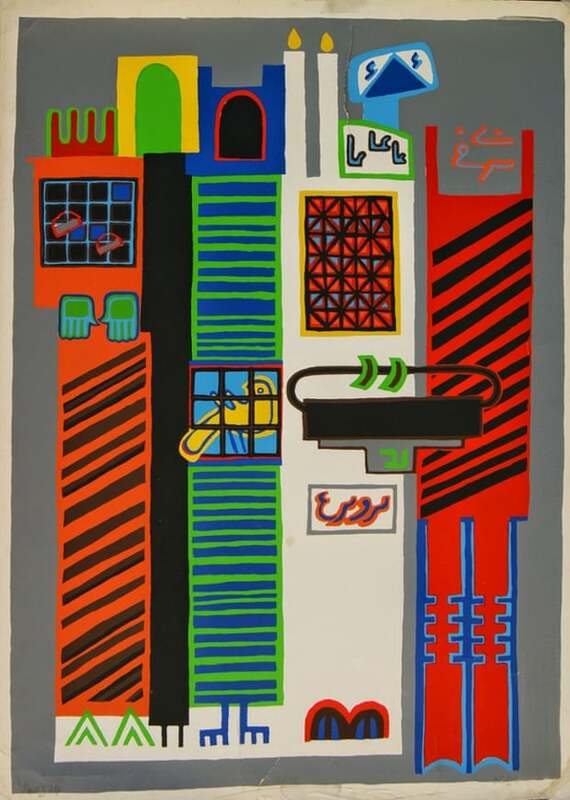 Tanavoli is one of the handful of artists responsible for the Saghakhaneh style, which developed in the early 1960s as young, mainly western-educated artists sought to reconcile distinctly Iranian forms with the language of contemporary art. In doing so they turned to traditional forms, touching on pre-Islamic and Shia Muslim art and architecture, as well as Iranian folk motifs. Among those associated with the style, Tanavoli’s work embodies the widest range of cultural signifiers, from the grandiose to the familiar, from the ancient to the now. His scholarship has been impressive in its scope and influence. Tanavoli has published books on locks, talismans, gravestones, horse and camel trappings from tribal Iran, rugs and textiles, make-up boxes, tablecloths, ceramics, and the magic of letters and numbers, among other topics. He is by temperament a collector, and the innumerable hours he has spent scouring flea markets, villages, and artisans’ workshops have deeply affected his work. It is indeed often difficult to distinguish an established cultural motif from one Tanavoli has established. When one thinks of an Iranian form, one is as likely to visualise a Tanavoli as an ancient relief. The pseudo-cuneiforms covering his more recent Wall series are just as much etched into my mind as the 2500-year-old inscriptions on the side of a granite boulder at the foot of Mount Alvand in Hamedan province, to which I made weekly pilgrimages as a child. As the country has grown more secular, Tanavoli has built up and maintained certain religious motifs as a significant part of his visual lexicon. A good example is his relationship to locks, as fastened by devotees to the lattice grillwork of Shia shrines. He shows the same devotion to saghakhanehs, small niches in walls offering passersby drinking water in memory of Imam Hussein, who with his followers was cut off from water before his martyrdom at the battle of Kerbala in AD680. Tanavoli’s devotion to form while excluding function releases the artistic tradition from its mythical aura. While the lock has been a site of both ingenuity and metaphor in Iranian heritage, it is Tanavoli’s sculptures and extensive research that make it so significant. He ties in religion, myth and history with contemporary hope. He equates the praying hands that fasten locks onto shrines with his own, which sculpt them in the studio, often as small breasts or disproportionate penises. Tanavoli’s fervour for Iranian formal heritage is balanced by a sense of irreverence and play that give his work relevance beyond a specific cultural context. In Innovation in Art, 1964, he cuts a vaginal opening into a handmade Persian rug to make room for a toilet ewer, a scatological object most common and most rejected in the Iranian domestic psyche. 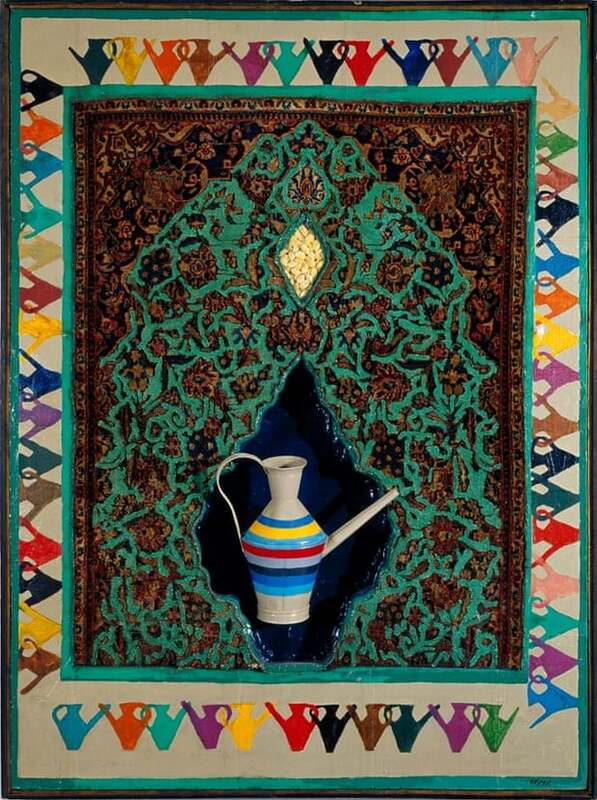 The ewer is painted after a Jasper Johns Target and the intricate patterns of the rug are flattened into kitsch as they are crudely traced in paint. His signature Heech series, which has for years been a staple of Tanavoli’s practice, was conceived of in 1965 as a protest. The three letters of the word heech, meaning nothing or nothingness in Farsi, took form in the decorative Nastaliq script both as a protest against the empty overuse of calligraphy in the increasingly popular Saghakhaneh style and the individuals, the institutions and the market that embraced this emptiness. The many years Tanavoli has spent with Heech, and the sheer number of pieces produced with his factory-like ambition, take it beyond the cynicism of its initial protest. It is radical for an artist to make “nothing”. But Tanavoli’s heech is constant neither in form nor narrative. The pieces are made in all sizes and media, from bronze to fibre-glass and neon lights. Heech emerges from a box, melts into its chair, lies beneath a table and embraces another. As it takes form it grows both endearing and ridiculous. Its irony, not lost on the artist, points to his nostalgia for the figure, a need for play, for narrative, for history. Tanavoli cannot stay on a heech hiatus. However freely he has drawn from and built upon his own heritage, he has always done so with great care. It is partly this sense of responsibility that has given him the popular status he enjoys in Iran. While it may be a source of pleasure and inspiration, it is no doubt also a burden for any artist, one he has borne seamlessly, and with grace and humility.